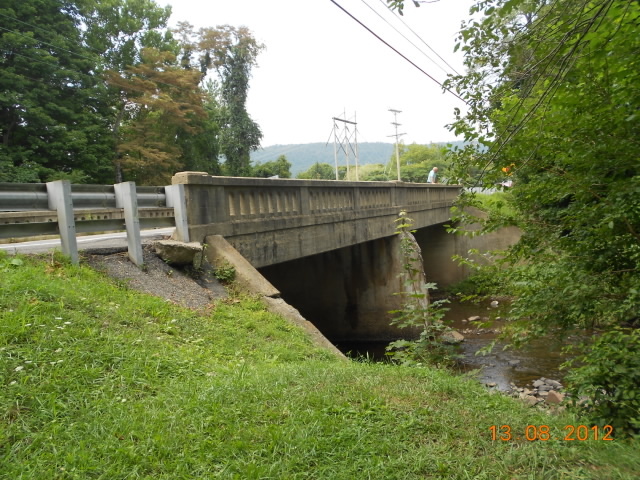 The project consisted of replacing the existing two-span Concrete T-Beam Bridge that carries S.R. 0997 over Conodoguinet Creek with a new single span Composite Steel Plate Girder Bridge on integral abutments. Roadway approach work was included for approximately 300 feet on the southern approach and 500 feet on the northern approach. The design maintained existing horizontal alignment, while the vertical alignment was slightly adjusted to allow for adequate clearance over Conodoguinet Creek. Traffic control consisted of phased construction, two-way traffic maintained by a single lane using temporary traffic signals.